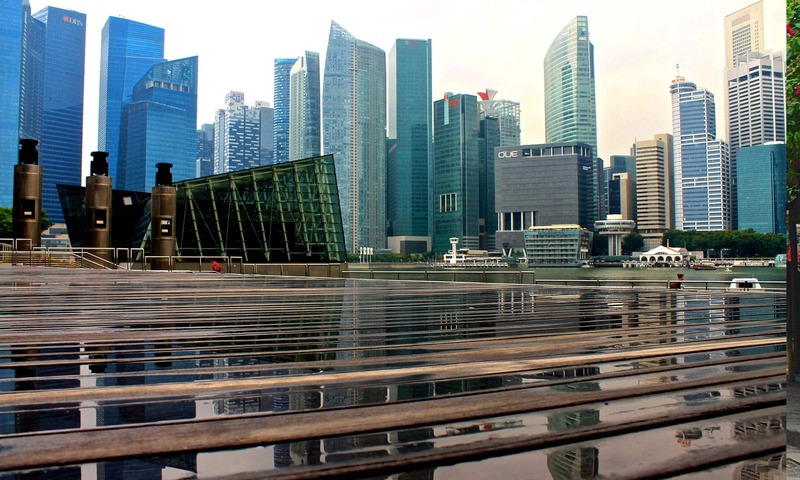 Surprising Singapore Travel Guide: Stop Stopovers! Singapore. For five days. What the hell is in Singapore I questioned? All I knew was there was one amazing airport and it was a gateway to the rest of Asia. I quickly found out the answer to my original question: A lot more than you may think. The garden city vision started its journey on the 11 May 1967 when the then Prime Minister set out his plan. 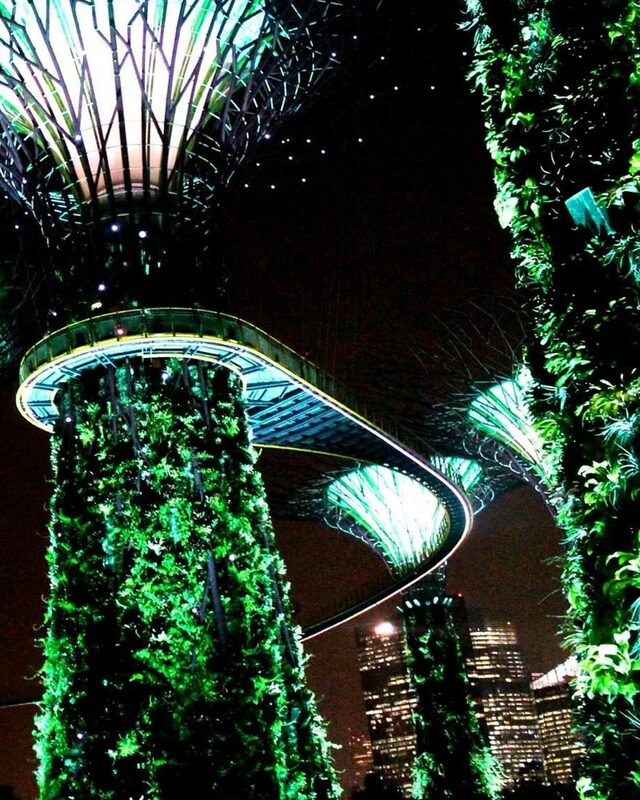 Singapore is a young country, only recently celebrating its 50th Birthday of Independence but if they wanted to tick the Garden City box, they have done a damn good job of it. 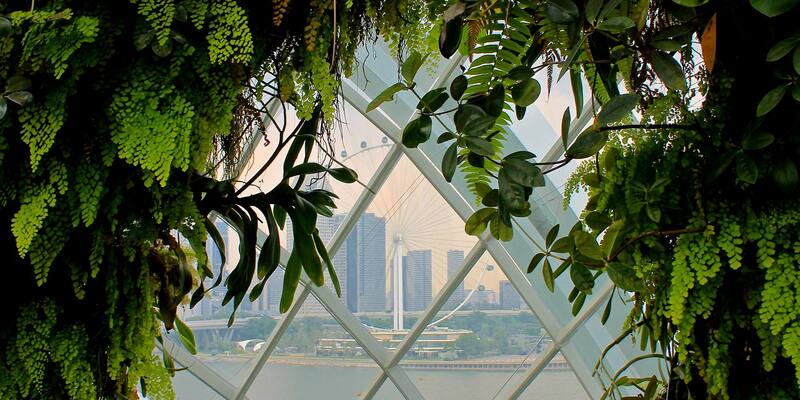 The Gardens by the Bay sit alongside the high-rises of the city and the water surrounding the peninsula. 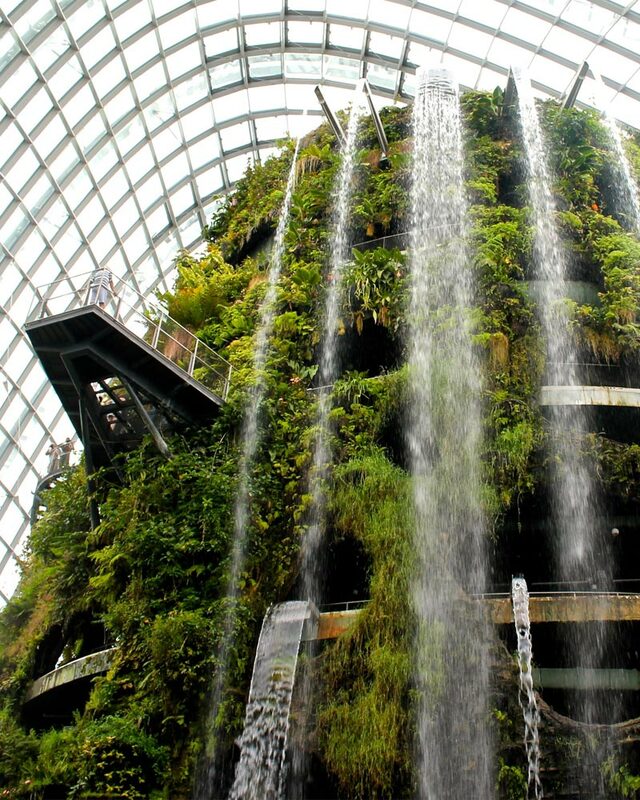 Encompassing the Botanical Gardens which are most famous for the futurist, colour changing trees, the inside covered Cloud Forest and Flower Dome with their mix of bright colours and cooling water features are something every Singapore travel guide highly recommends and rightly so. Though the inside areas are nice, the entrance fee off $20 SGD is a little steep if it is not your thing. No fear however, taking in the green outside space wont cost you a dime. Head here during the day to escape the mad rush of the shopping malls or by night for a calm drink spot above one of those high-glow trees. 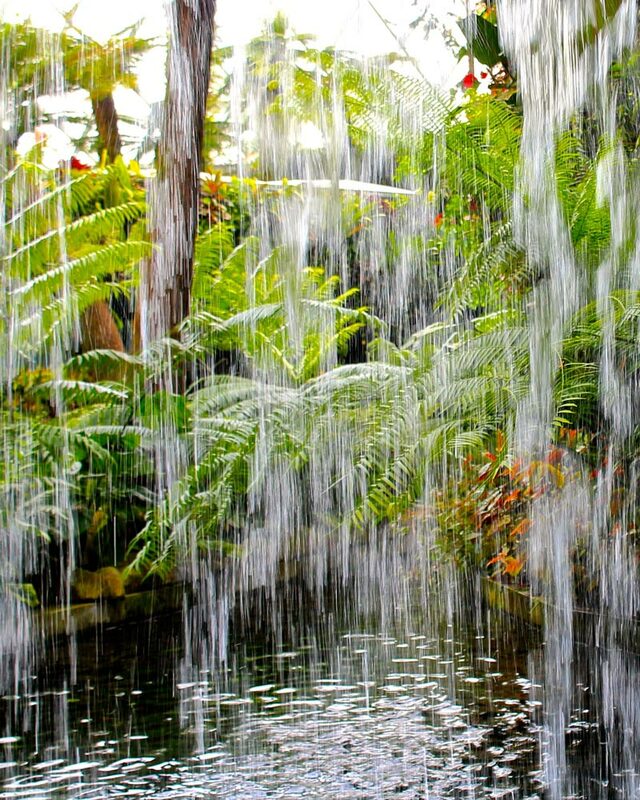 In fact, the Botanical Gardens are so special they are one of just a few listed as a UNESCO world heritage site. 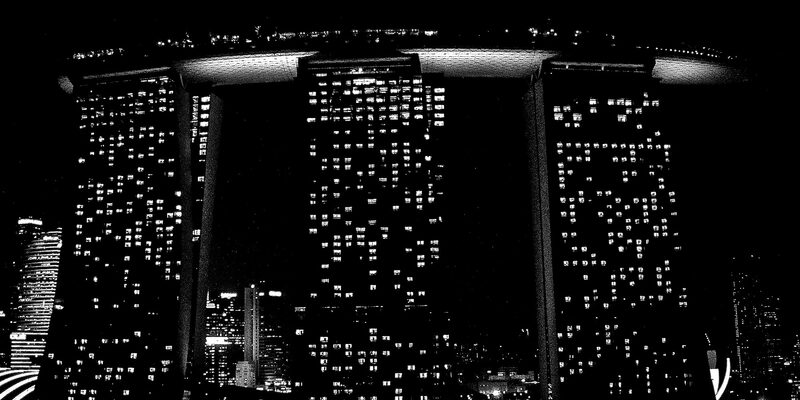 Those bright lights Singapore is a well-known for are well deserved, with its first class shopping malls, buzzing nightlife and nightly light shows. Marina Sands, the boat like hotel dominates the show here with nightly free water and light performances which you can soak up from one of the bars opposite the Marina Bay Sands (don’t try to view it from atop) or for free by just grabbing a seat on the decking around the Marina. Island getaways might not be first page news on your Singapore travel guide but they should certainly be on the agenda. 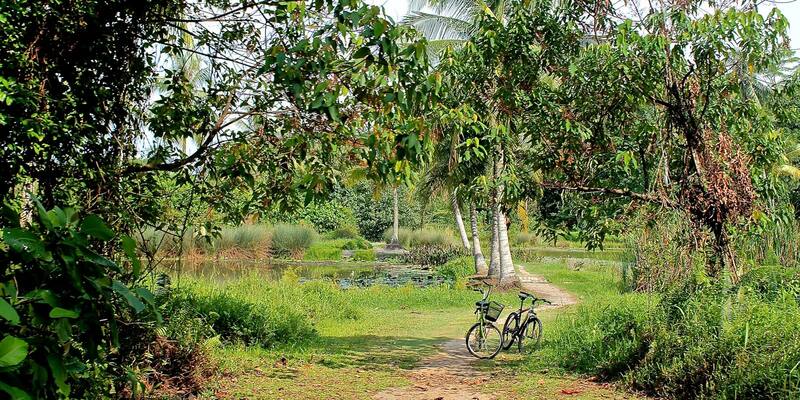 Pulau Ubin, a small Island off east Singapore seems a world away from the highrises of the city. It is however just a short ‘Bumboat’ (yep, you read that right) away from Changi Jetty which is near the airport. The island offers a wildlife haven within this country and is home to huge lizards, wild boar, otters and monkeys. Grab a bike for a few dollars and spend a couple of hours taking in the untouched greenery, the boardwalk over the ocean and explore the small Village, known as a ‘Kampung’, to get a feel of what Singapore would have been like 60 years ago – Best bit, Island admission is free and those Bumboats cost just a few dollars. You can even camp here overnight. Once back in Changi you realise there is more than just the airport there, it’s a quiet, tree filled area which again makes you think what Singapore could have been like before the tower blocks. 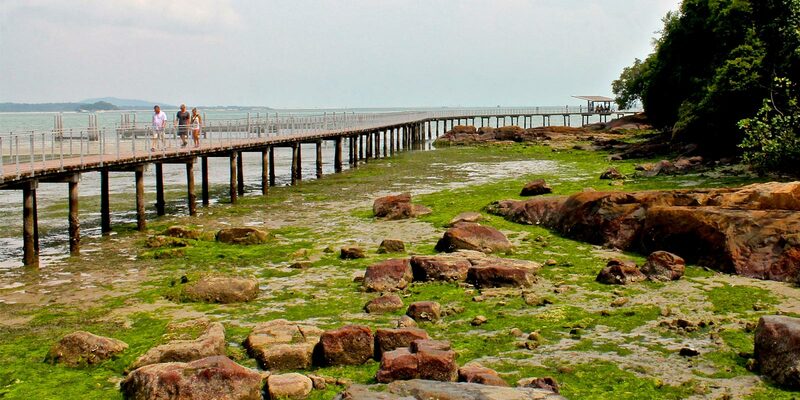 Changi village has some quaint places to eat as well as coastal beach walks. Culture clashes are as evident here as walking from one street to the next. With a mix of Malay, Chinese and Indian influences as well as the colonial and local history. For a small country you can’t help but feel like you are experiencing so much more of the continent on just a short walk. 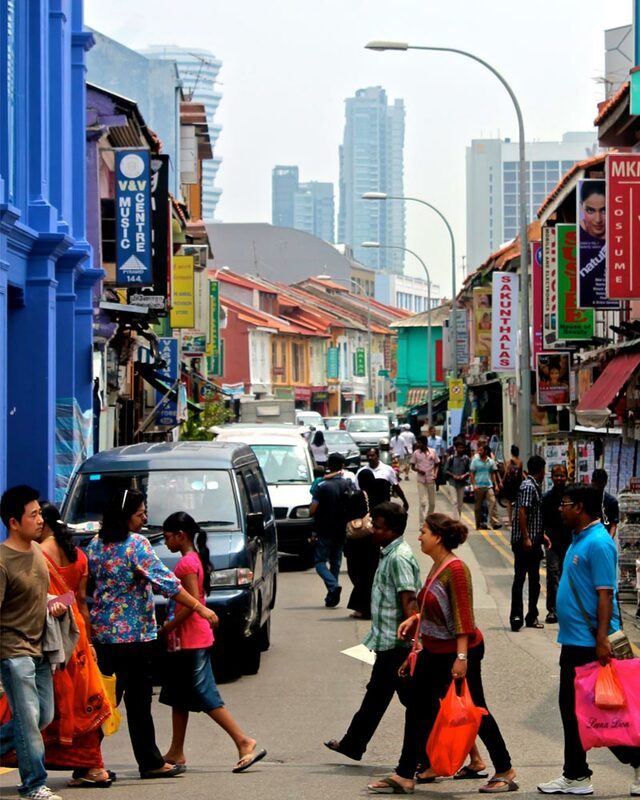 Little India is next, vibrant and buzzing with signs of architecture from times gone by. 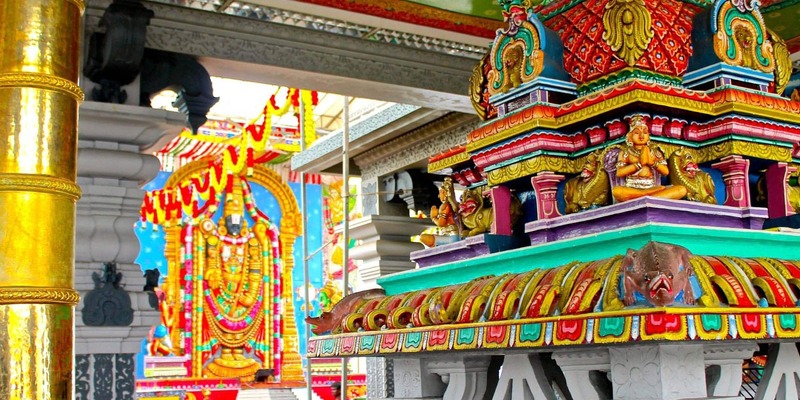 The legendary food hall here has some seriously good cheap eats, the Hindu Sri Veeramakaliamman Temple is one of the oldest in the city and well worth a visit. I would go as far as saying this is my favourite neighbourhood in the city. You are close enough to everything, get a real taste of Indian culture as well as finding small art galleries and designers. 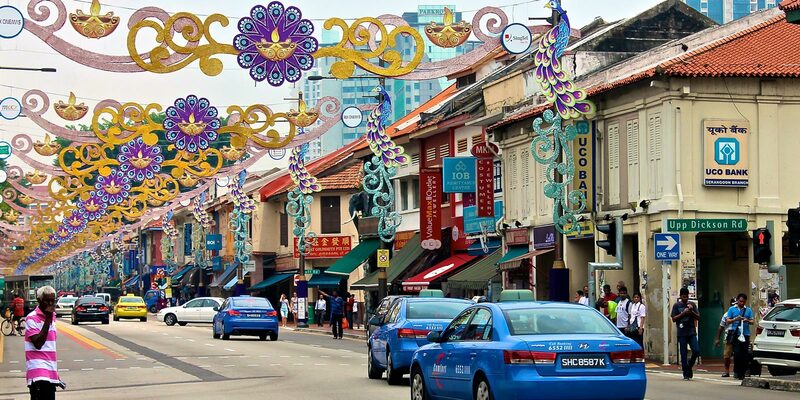 Kampong Glam, the ‘Malay Area’ is also recommended to wander around. The Sultan Mosque is an impressive building however I gotta say, I didn’t find it the most interesting part of the city to explore. With a mix of culture from around the world: British, Dutch, Portuguese, Malay, Australia and other local Asian regions it is a true east meets west success story. Luxury living is easy to come by here (for a price) – Singapore is constantly ranked as one of the most expensive cities in the world. With the high-end famous hotels lining the water such as the Sentosa Resort, Marina Bay Sands and Raffles amongst many more you could be easily convinced to skip Singapore to spend more time in cheaper parts of Asia. 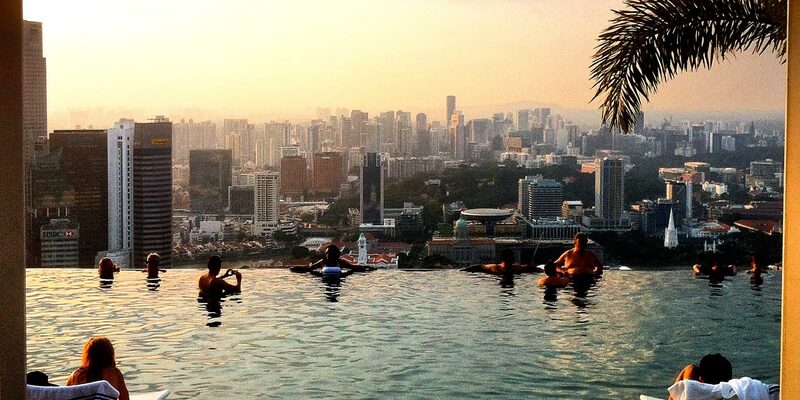 Tip: That famous view from the top of Marina Bay Sands can be accessed by guest for an entrance price, but the pool is only open for hotel guests. So, if thats your aim it might not be worth spending the entrance fee. It might actually be cheaper to head to Ku De Tah up top for a drink and a view as you can then skip the ‘SkyPark’ entrance fee. The good news is however that while it might not be as cheap as say Thailand there are more and more hostels opening up here which is making it a much easier place to put on your itinerary. Good, central dorm rooms are now available for as little as $14 SGD. The Hawker food markets are also great spots to grab some street food at, high quality and low price. Singapore is a country reborn, it has only been 50 years since it became independent and this year has been full of celebrations. It has managed to build itself up to be one of the most important financial districts in Asia, positioned itself as a true ‘green city’ as well as developing health care and education facilities (Children up to 12 must attend school here) much of the region doesn’t have. Many travellers will skip over it due to cost, but if you are new to Asia it is a perfect gateway city to ease you in. 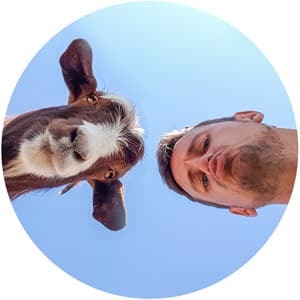 With English being the first language taught in school’s you will get by easily, giving you time to learn languages for your next country in south-east Asia. Less manic and touristy than Bangkok and connected by bus and train to nearby Malaysia it might be the perfect starting point for your Asia travels. Plus, did I mention it has the worlds best airport?! You can still check out some of the British Colonial sights in Singapore. Fort Canning park, sits atop a hill and was an important view-point for the country as well as witnessing some of the historic events in the country’s past. 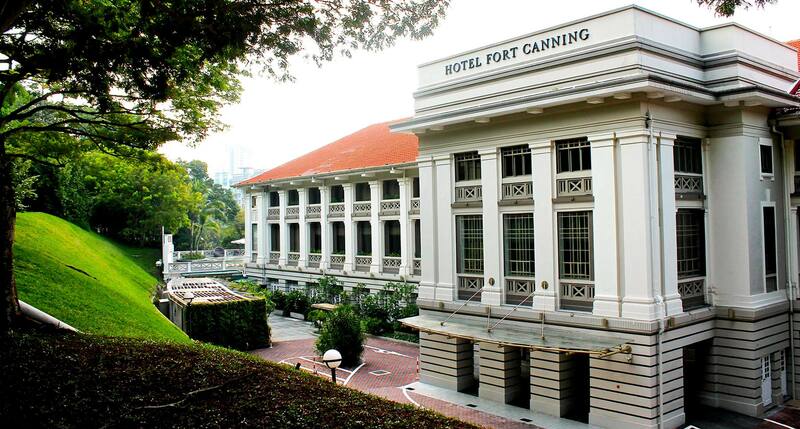 Now you can explore the park and even stay in the old British War command building which is now Hotel Fort Canning. The colonial district is a world away from the modern buildings that line the Marina. The most famous is of course, the grand delight of Raffles Hotel but take some time out to explore the old Cathedrals and the impressive National Museum and you will feel like you have stepped into Europe. Five times a year they also open the gates to the Presidents house, a Grand building from the British era. If you are after the quaint, terraced houses that are postcard perfect and so different from the rest of the city head to Emerald Hill Road for tree-lined, intricate shuttered residences and small bars. Singapore surprised me at every corner and even in my five days there I was left with a list of things still to discover. 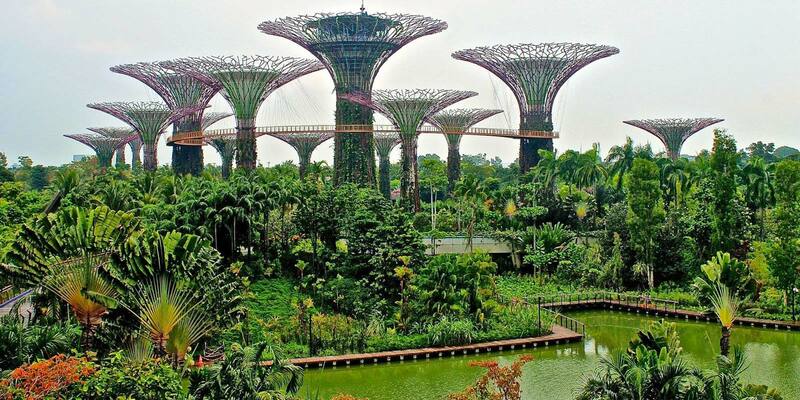 So get beyond the Gardens in the Bay, High end shopping malls and the resorts on the water. Hell, just get beyond that (damn amazing) airport! Head there before the end of this year and you can also join in one of the many 50th Birthday events. Have you been to Singapore? Did it surpass your expectations? What hidden gems have I missed for my 3rd visit next month? Actually love Singapore. Went 2 months nearly year from before I remember till recent. I’m from Glasgow , Scotland…I know right !!! Get a flight pick up your bags get a taxi . All locals know perfect English , Chinese , Malay & Indian….And yeh most do all four !!! It’s an awesome city, a bit of a model of what all future cities should be like I think. One place worth a visit is the Tiger Balsm Gardens. I grew up in Singapore in the 60’s and went back a couple of years ago. They were just like I remembered and just as mesmerising. I also revisited the RAF camp Seletar that I lived in. My old house was still there! I loved Singapore when I visited. I spent two days there on either end of a trip to Malaysia and I could have definitely stayed longer. It felt to me like a very liveable city.